The Chemical Guys Medium Clay Bar is the safest and most effective way to remove contamination from your vehicle’s paintwork. Flex-Clay Technology easily removes moderate overspray, rail dust, brake dust, pollution and contamination for a smooth-as-glass feel. The unique elastic grey detailing clay pulls off moderate and rough contamination like a magnet. 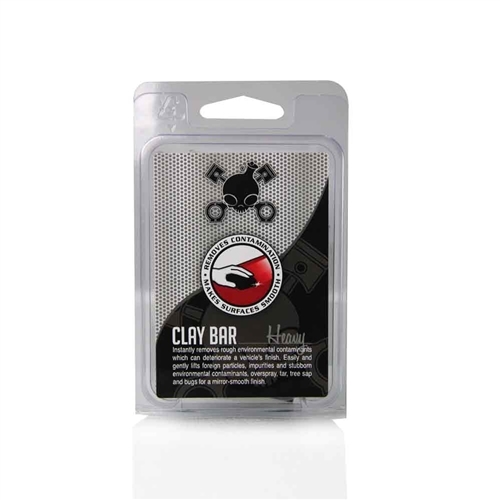 The advanced Medium Clay Bar is designed to cleanse vehicles with years of contamination and rough pollution. The Medium Clay Bar works great on paintwork, glass, plastic and metal surfaces. Detailing clay bar safely removes overspray and pollution without damaging the surface. The Chemical Guys Medium Clay Bar is the perfect choice for removing embedded contamination from new and old vehicles. The Medium Grey Clay Bar is the safest way to cleanse virtually any painted surface. Great for removing contamination before applying your favorite coat of carnauba wax or paintwork sealant. The Chemical Guys Medium Clay Bar is non-abrasive and safe on aluminum, chrome, fiberglass and all painted surfaces. Restore the smooth feel back to any car, truck, motorcycle, RV and boat with the Chemical Guys Medium Clay Bar. The Medium Clay Bar is the perfect choice to remove moderate contamination from new and old vehicles. The non-abrasive detailing clay restores the smooth-as-glass feel to virtually any exterior surface. We designed the Medium Clay Bar to gently cleanse the surface of unwanted contamination for a perfect finish. The Chemical Guys Medium Clay Bar works great on paintwork, plastic, wheels, glass, metalwork and fiberglass. Perfect for cleaning specialty carbon fiber and Kevlar surfaces. The Medium Clay Bar works best with Chemical Guys Luber for the ultimate clay bar experience. Simple spray Luber directly onto the surface and cleanse the panel using the Medium Clay Bar. 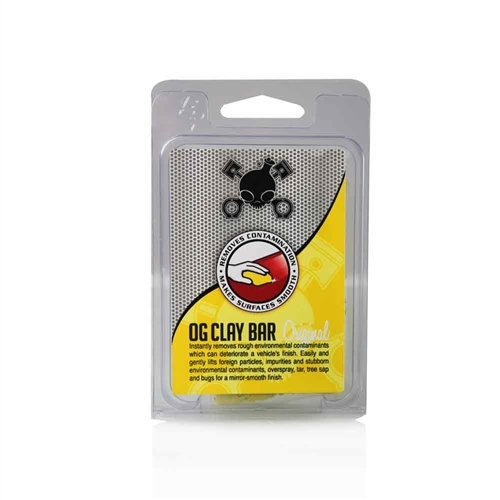 The Chemical Guys Medium Clay Bar easily removes moderate contamination while being safe on the surface. Great for restoring a smooth finish on vehicles 5-10 years old. Quickly remove tree sap and road tar for a perfectly clean finish. 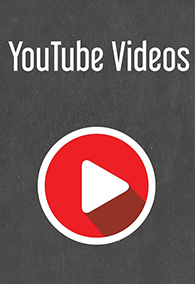 Easily remove pollution film and overspray from your vehicle’s glass for improved visibility. The Medium Clay Bar creates a mirror finish in minutes. Contamination and overspray can ruin the shine of your vehicle’s finish. 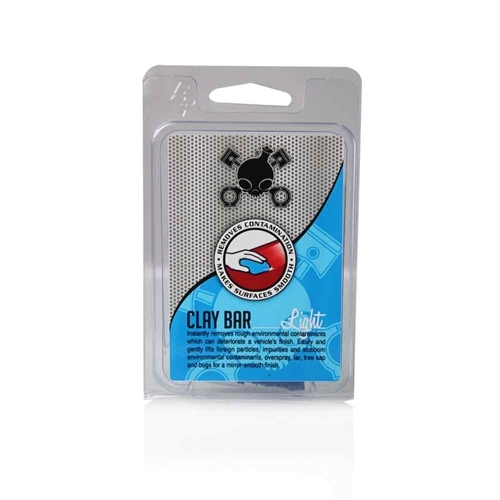 The Chemical Guys Medium Clay Bar makes removing embedded contamination easy. The non-abrasive detailing clay is the perfect choice for removing overspray, rail dust, pollution, brake dust, water spots, road tar, tree sap, bird droppings and mineral deposits from virtually any exterior surface. 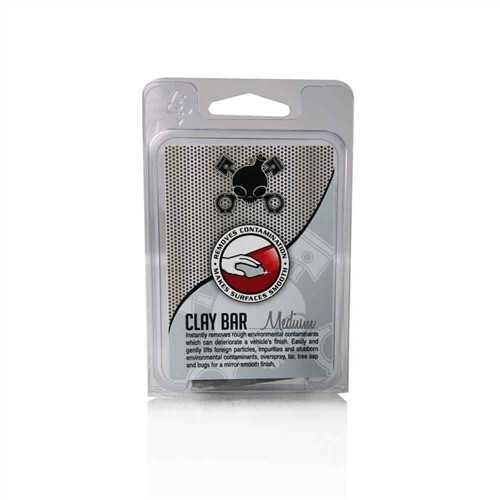 The Medium Clay Bar is designed to clean vehicles with moderate contamination. The innovative elastic detailing clay is safe and effective on any color paintwork. The Chemical Guys Medium Clay Bar even works great on plastic headlights and taillights. The Flex Clay is flexible to clean the tightest spaces. Restore the smooth feel back to any car, truck, motorcycle, boat and RV. Remove embedded brake dust from wheels and rims for a mirror shine. Flex Clay is a major step to keeping your vehicle looking amazing. Chemical Guys Medium Clay Bar makes virtually any surface feel smooth-as-glass.